Here’s a great idea for those who like tea and fancy a bite on the side. Super cute Dunk Mug from Mocha. 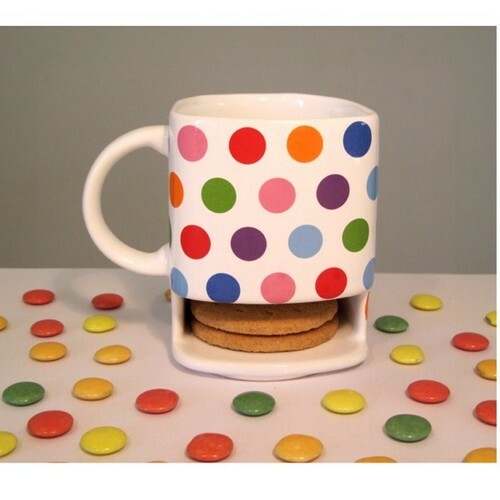 I adore the polka dot mug shown below. It’s actually very similar to the mugs that I use at home, (minus the clever cut out).